Ever since the nation’s most important secret meeting—the Constitutional Convention—presidents have struggled to balance open, accountable government with necessary secrecy in military affairs and negotiations. For the first one hundred and twenty years, a culture of open government persisted, but new threats and technology have long since shattered the old bargains. Today, presidents neither protect vital information nor provide the open debate Americans expect. 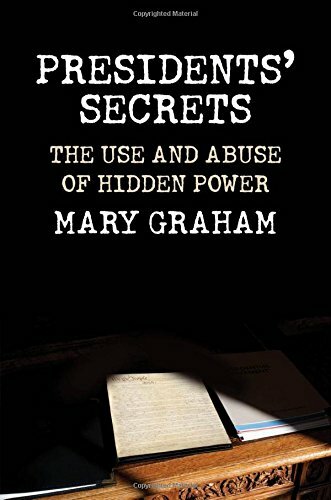 Mary Graham tracks the rise in governmental secrecy that began with surveillance and loyalty programs during Woodrow Wilson’s administration, explores how it developed during the Cold War, and analyzes efforts to reform the secrecy apparatus and restore oversight in the 1970s. Chronicling the expansion of presidential secrecy in the Bush years, Graham explains what presidents and the American people can learn from earlier crises, why the attempts of Congress to rein in stealth activities don’t work, and why presidents cannot hide actions that affect citizens’ rights and values.